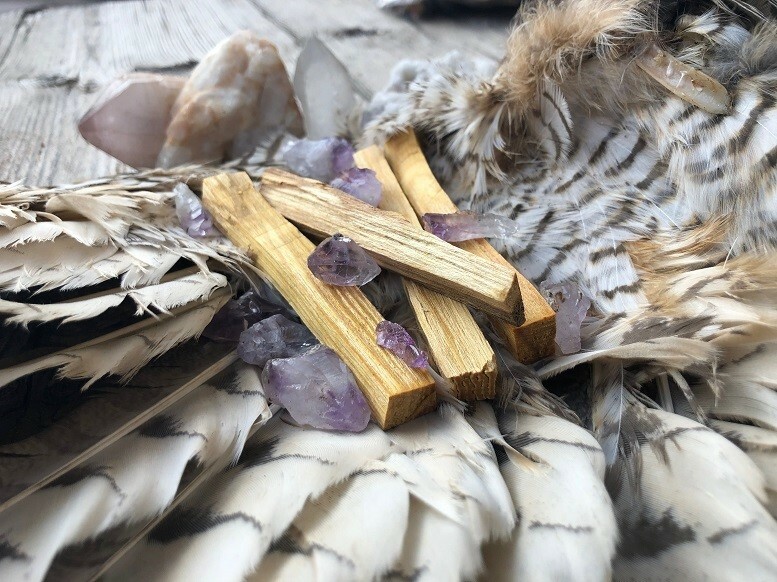 Introducing our selection of Palo Santo, a sacred, cleansing, purifying, spiritual tool for home, ceremonies and more. Our Palo Santo is blessed within the energies of the Unified Field of Pure Consciousness. Palo Santo is a mystical tree which grows on the coast of South America. It is related to Frankincense, Myrrh and Copal family. It provides an uplifting scent that raises your vibration and allows for a deeper connection to the Higher Self, Spirit Realm, and Mother of all creation. It is the representation of the Divine Masculine energies. Palo Santo is known to clear the energies of your auric field and home> In addition, Palo Santo is traditionally used for relieving headaches, migraines, common colds, flu symptoms, stress, asthma, anxiety, depression, inflammation and more. Consider our selection of White Sage, which is represent the Divine Feminine energies, for additional cleansing and clearing. A powerful combination for any home.